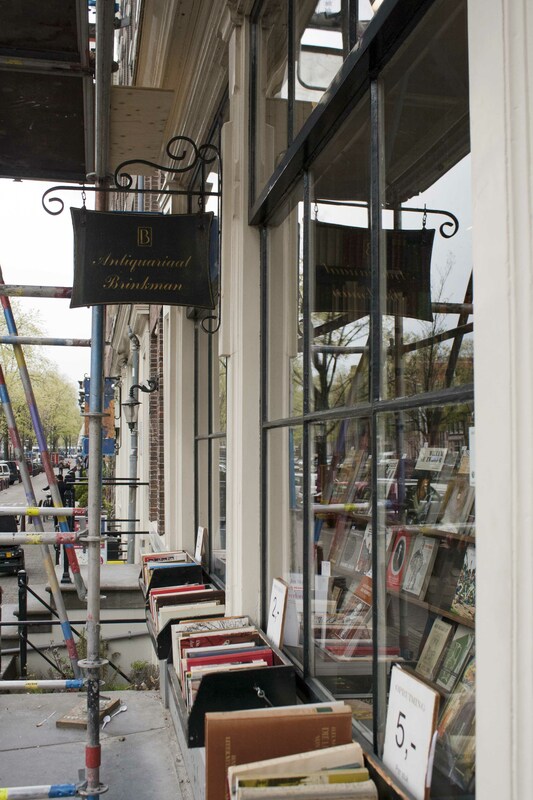 After feeling the peace and relaxation of Au Bout du Monde and the cosiness of Antiquariaat POLK on the Singel Canal, it was time to check out the third bookshop. 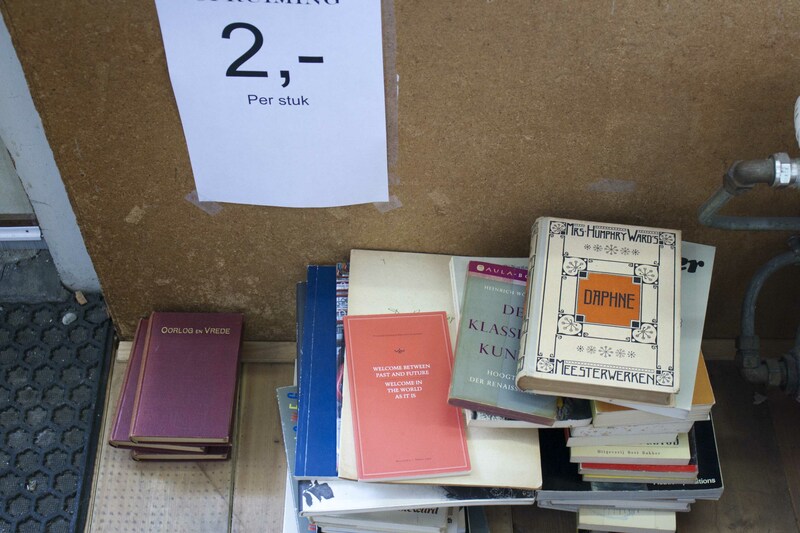 Antiquariaat Brinkman is on the corner. At the time of my visit it was surrounded by scaffolding so I found it hard to take a proper outside photo. This shop felt like a proper antiquarian bookshop, with tall and dusty shelves filled with musty, crumbling books. The look wouldn’t be complete without discoloured maps on the wall, and cabinets filled with the most valuable or delicate books. This bookshop had a nice feel and the friendly man who worked there spoke excellent English. Unfortunately, apart from him, the bookshop wasn’t big on English, and so I couldn’t find much to tempt me. This was a shame seeing as they had a good little bargain section on the way out! If you’re lucky enough to speak Dutch and want to check this place out, the address is: Singel 319 – 1012 WJ Amsterdam, The Netherlands. My trip to Amsterdam even ended in a bookish way. Look at what I found at the airport! An airport library with a welcoming sign! 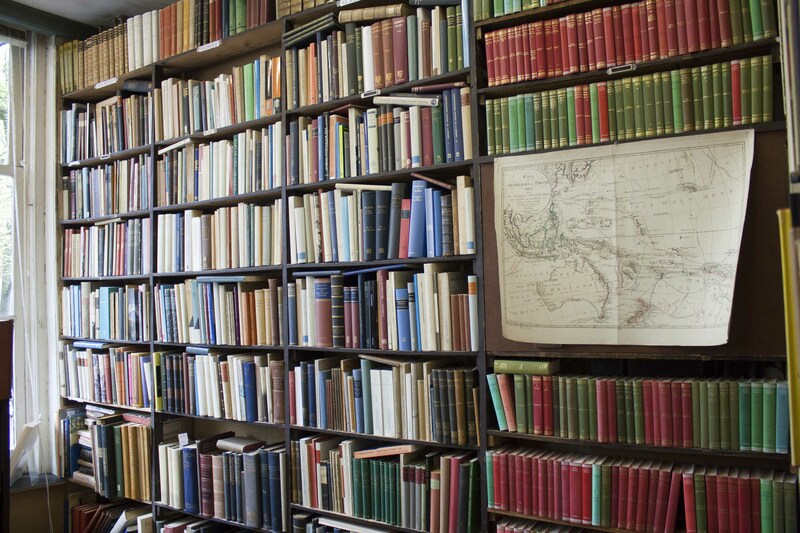 The second picture is what the walls of my dream library look like. :-). Map and all? I have so many dream libraries and this would definitely count as one of them! 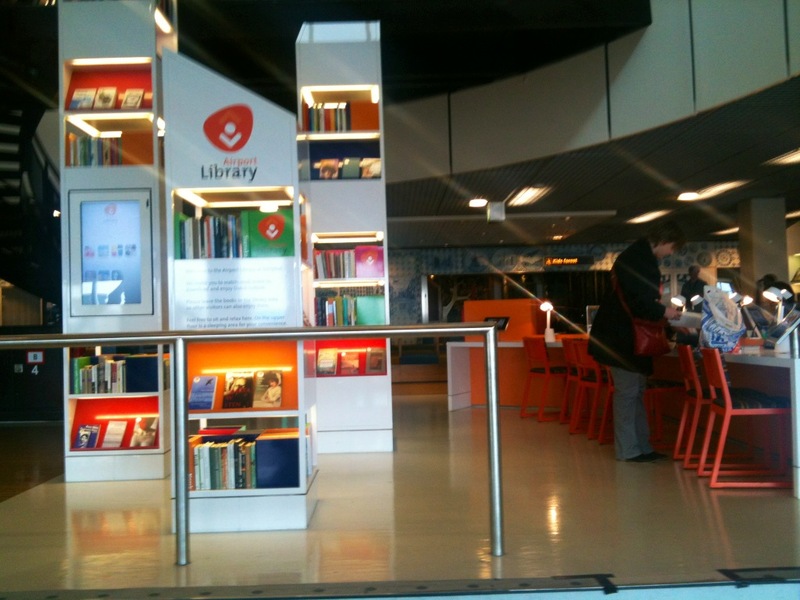 I love those libraries in airports, hotels, and train stations. It’s a brilliant idea! I’ve never seen one before!